These days, almost everyone says to stay away from flour, salt and sugar, known as the "three whites." Although this claim has some supporting evidence, living without these three food items can be very hard. 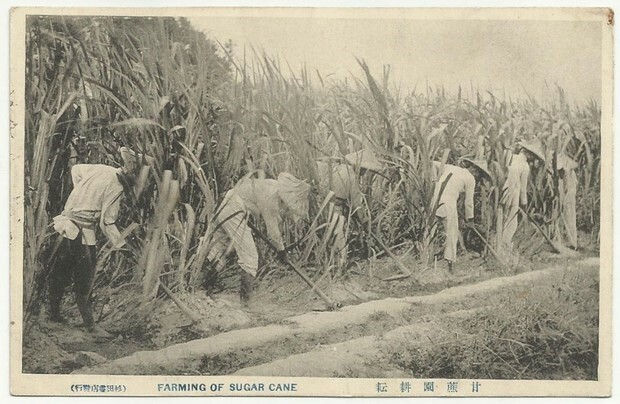 Sugar was first produced from tropical sugarcane. Reaching up to 10 meters in hieght, this plant contains 20 percent to 25 percent sugar. Darius I, the Persian Achaemenid king who invaded the Indus Valley in 510 B.C., discovered cane sugar, thought to have come to India from Polynesia. "The reed that gives honey without bees" became very popular. Later, the Arabs conquered Iran, discovering the taste of sugar for themselves and began to grow it, transforming it into a large-scale industry. Europe learned about sugar, like many other things, from the East. Crusaders returning home could not help but speak highly of this delicious spice that grew in Cyprus and Egypt. Cyprus served as the hub for Europe's discovery of sugar. It went to Europe through Sicily and Andalusia, and from there to the United States through the Canary Islands. In the 16th century, sugar became a commercial commodity. The word sugar comes from the word "sarkara", "al-sukar" in Arabic, meaning "pebble" in Sanskrit. As its popularity spread, the Arabic word was adapted to many European languages, including French as "sucre," English "sugar," Italian "zucchero" and German "zucker." The word "qand," which is also used for cube sugar in Persian, is also found in European languages, similar to the English word "candy." In Turkey, the word "kand" is used for hot sweetened water with lemon slices. In London in 1309, cane sugar sold for 2 shillings a pound, which was equivalent to a worker's full salary. For this reason, sugar was only given to patients to help them recover and as a luxurious addition to rich tables. When King Henry III of France came to Venice, all the plates and tables in the party organized in his honor were filled with sugar. Venice was also the center of refined sugar. When Vasco de Gama went to India and began trading sugar in 1498, Venice's sugar monopoly came to an end. Around the same time, Christopher Columbus transplanted the sugarcane he brought with him on the Caribbean islands due to its welcoming climate. The islands quickly turned into sugarcane fields. Europe's need for sugar was met from here. Workers from all over the world were brought there to work, marking the origin of the slave trade in the region. Sugar was being traded all over the world by the middle of the 18th century. Drinking coffee and cocoa with sugar became fashionable among Europe's elite. It was making so much money for its traders that they called it "white gold." When Napoleon Bonaparte imposed a blockade on the European continent and shut down sugar trade routes, the hunt was on for new sugar sources. A discovery by a German scholar named Andreas Sigismund Marggraf came to the aid of the proverbial sweet tooth. He discovered that when the sweet substance in white beets was in crystalline form, it was able to mimic the flavor of cane sugar. His apprentice, Franz Achard, later applied it to industry and founded the first sugar mill in 1802, in Lower Silesia. While Marggraf and Achard could extract 1 percent to 4.5 percent of the sugar from beets, now it has increased to 15 percent to 24. Yet, two-thirds of the world's sugar needs are still obtained from cane sugar. The Ottomans brought sugar from Cyprus, which was held by the Venetians at the time. It is said that sugar was scattered around during Sultan Bayezid's wedding in 1382. With the conquest of Egypt and Cyprus, the Ottomans started producing and even exporting sugar to other countries instead of importing it. Sugar was grown in Alexandria, Crete, Tripoli, Damascus, Sidon, Beirut, Aleppo, Alanya, Silifke, Tarsus, Adana and Antakya. In the sugar mills called "şekerhane" (sugar house), loaf, granulated and wax sugar was produced by using water and animal power. It is clear how wrong a famous Turkish politician, who recently said: "The Ottoman Empire could not produce even a pound of sugar," was. There were many sugar mills in the Ottoman Empire. Sugar was expensive, but it was on the market. Cypriot sugar was only allocated to the palace while others were used throughout the empire. Evliya Çelebi spoke about 200 sugar mills in Egypt, 40 of which belonged to the state. The Ottoman Empire became one of the important centers of the profitable sugar trade. Egyptian sugar was exported to Russia through Crimea. 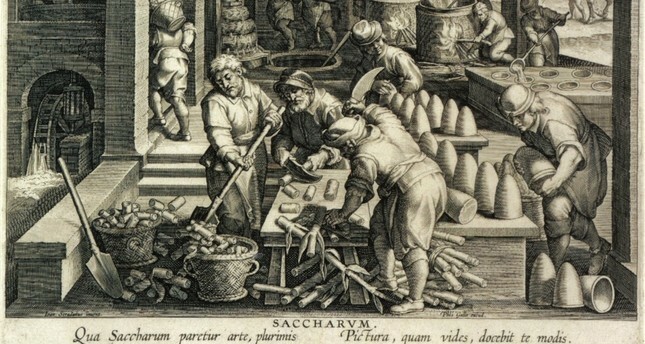 The Spice Bazaar was like a stock market for sugar, with 70 sugar shops in Constantinople alone. Since sugar was considered medicine at the time, pharmacists and herbalists sold it as well. A sugar official was also appointed to meet the needs of the people fairly and to prevent abuses. A fixed priced was set for sugar, which was listed among the necessary goods. In the meantime, the problem of sugar smugglers emerged. However, over time, Europe and America came to the fore for sugar production since fuel was crucial for its production. Egypt and Cyprus had plenty of water but were lacked forests. Moreover, farmers in the Ottoman Empire preferred cotton, olives and similar products, which were more profitable. For this reason, sugar imports from Europe and America began in order to meet both the increasing need and to prevent the black market that could offer cheaper prices. In Turkish culture, sugar is not just food, it also has a symbolic place in ceremonies and celebrations. Turkish delight is brought to a potential bride's house when the groom's family asks for her hand in marriage. Sherbet is also offered when the family gives away their daughter in marriage. Dessert is served during the marriage ceremony and candies are showered over guests at weddings. Even in international negotiations, the parties give each other candy. Sugar and sugary products have always been a symbol of abundance and status. People even took up the habit of calling their loved ones "şeker," or "sugar." A good man is like sugar. Sugar is precious. According to spousal support narrated in religious books, it is imperative that the husband provide his wife with at least one dessert a week. When Yugoslavian dictator Josip Broz Tito went to Skopje, he asked an old man: "Tell me, is my time better or was before?" This honest and smart bugger said in turn: "We took candy with loaf in the time of Tsar Hamid [Sultan Abdülhamid II]. King Alexander came and sugar was sold in kilos. We cannot even find a gram in your time!" The first sugar mill of the Republican era was founded in 1926, by a private enterprise. In 1935, all sugar mills were nationalized. Still, sugar was not easy to find until 1950 during the single-party period, and it was also expensive. People drank tea with raisins and used molasses in desserts. In the 1980s, sugar mills began to be privatized once again.